Honestly, Mystery is not my favorite genre. I took a detective fiction course as an elective in college, and though I thought I would really love it, it ended up just being okay. It wasn't the course or the instructor so much as the fact that detective fiction is just not my thing. So because I'm not a huge fan, this section doesn't get as much attention as, say, sci-fi or fantasy. It's not the first one I go to when a student asks for a book recommendation (unless that student requests mystery). That said, my students really do like this section. It gets solid checkout, even though I admittedly don't give it the attention I give other sections. With many students requesting books like Grisham's Theodore Boone series and The 39 Clues series, I will likely need to expand it from three shelves to four shelf cases this school year. 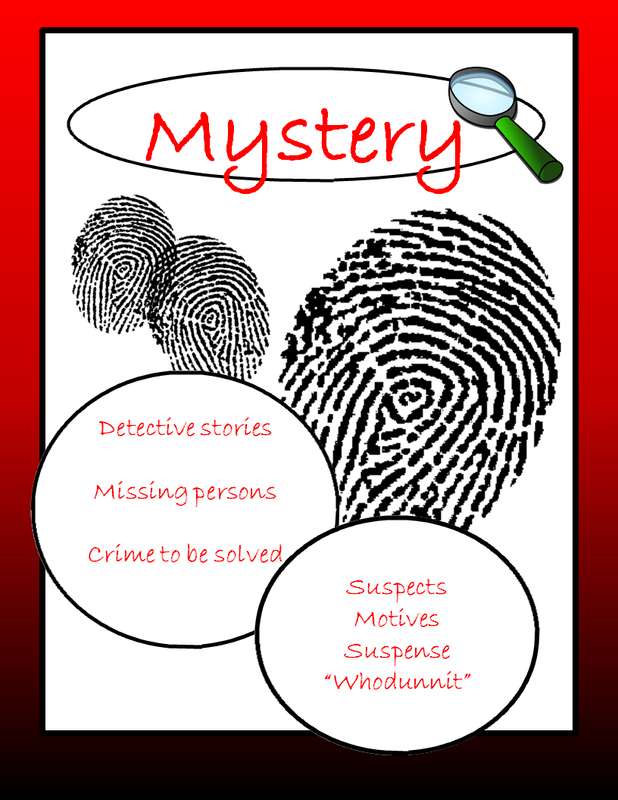 I am seeing more students interested in mystery recently than I have in past years. This is one of the sections I will have to expand sometime soon because I am running out of shelf space. 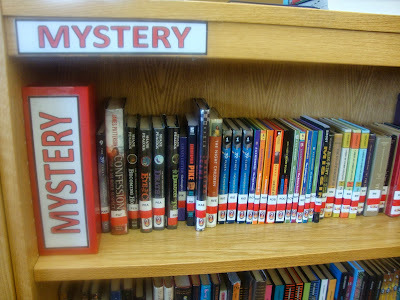 My Mystery section is not for paranormal mysteries, but I have noticed an upswing in paranormal mysteries lately (West's Pivot Point and Derting's Dead Silence are recent examples). My students are drawn especially to murder mysteries or stories about missing persons. Detective fiction is not very popular with my students. We have Springer's Enola Holmes, Van Draanan's Sammy Keyes series, and Higson's Young Bond series, among many others, but my students just don't check them out. Interestingly, I do get occasional requests for Nancy Drew. These students often tell me their mom recommended it to them. It can be really difficult deciding genre on these. Mysteries can easily fall into other genres, particularly, Horror and Paranormal, which in my library trump the mystery part of the story when genre-fying. The book has to be mainly mystery AND realistic for me to label it Mystery. 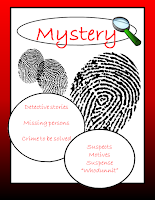 My students love the Forensic Mystery series by Alane Ferguson, and the John Feinstein sports mystery books too.